Ruth (Gary) Walters, 78, of rural Eldora, passed away late afternoon on Wednesday, April 19, 2017, at the Valley View Nursing & Rehab Center in Eldora, Iowa. Funeral services will be held at 10:30 a.m. on Saturday, April 22, 2017, at St. Paul Lutheran Church in Eldora with Reverend David Splett officiating. She will be laid to rest in the Eldora Cemetery. Visitation will be held from 5 – 7 p.m. Friday, April 21, also at the church. For further information or to send a condolence please visit www.mitchellfh.com or call 641-844-1234. Mitchell Family Funeral Home of Marshalltown is caring for Ruth and her family. Ruth Elaine Chrisman Jeske Walters, beloved wife, mother, grandmother and great grandmother went to be with her Lord and savior April 19, 2017. Ruth was born April 22nd, 1938, at a farm west of Marshalltown and the second child to Alfred and Mabel Chrisman. The family then moved east of Whitten where she graduated valedictorian of her class in 1955. After high school, Ruth worked for the Hardin County Superintendent of schools, and Bruce Clampitt Insurance Agency before owning and operating Pleasant Hills Insurance Agency. She married Larry K. Jeske on January 19, 1958. To this union, they had two children, Mark and Dawn. Larry passed away in 1963 from a farm tractor accident. On November 19, 1966 she married Gary D. Walters and the two farmed and she continued in the insurance business (40+ years) until her retirement. Ruth was active in many organizations throughout her life including 4-H, bowling, volunteering, helping with county elections, scouting and being a farm wife and mother. She was a wonderful seamstress, loved gardening, cooking, playing the piano, fishing at her and Gary’s private lake, (Pleasant Lake), spending time with grandchildren and great grandchildren, family and friends including Gary’s classmates, the “Rowdies” monthly luncheons. She also liked mushroom hunting, flowers, especially growing her own, and the wild ones near her home. Church was very important to Ruth and she was a member of St. Paul Lutheran Church in Eldora, serving as past Voters Meeting secretary several times and in a Ladies Church Circle. Ruth was preceded in death by her parents; son-in-law Rocky Fratzke; in-laws, Lucille Harrington, George and Dorothy Goschke, Marvin Walters, Pat Walters, Bob and Faithe Walters. 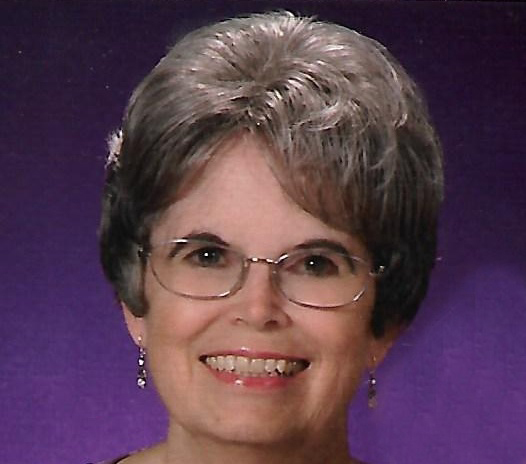 Ruth will be greatly missed by her loving husband of 50 years, Gary Walters, Eldora, IA; their children, Mark (Debra) Jeske, of New Providence, IA, Dawn Fratzke, of Jessup, IA; grandchildren, Travis (Branigan) Jeske, of New Providence, IA, Jenna (Seph) Amling, of Cedar Falls, IA, Kayla Fratzke, of Jessup, IA, and three great grandchildren: Jensen Jeske, JR Amling and Jericho Brockmeyer; brother Al Chrisman, of Conrad, IA, first cousin Mary (Dean) Mitchell, of Marshalltown, IA; brothers-in-law: Bill (Sandra) Walters, of Marshalltown, IA, Ronald (Barb) Walters, of Storm Lake, IA and several cousins, nieces, nephews and great nieces and great nephews of Jeske, Walters and Chrisman families.